In a move set to promote Egyptian culture worldwide, Egyptian diplomatic efforts landed Egypt two screenings of Youssef Chahine’s “Al-Mohager” and Marwan Hamed’s “Torab El-mas”, in the upcoming Belgrade International Film Festival. 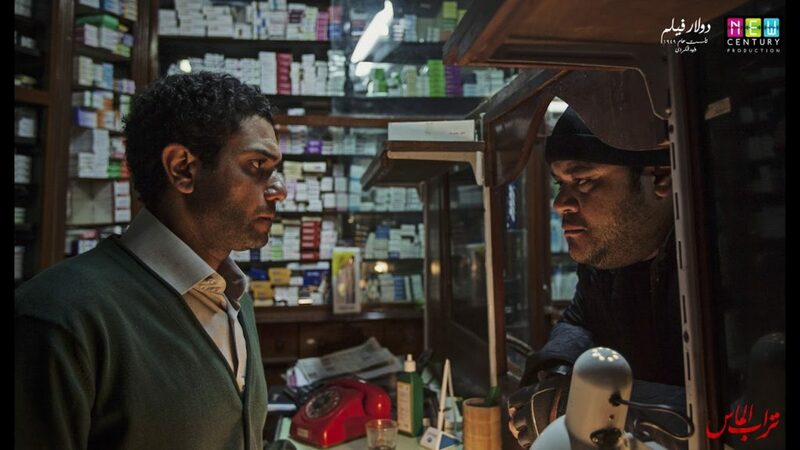 One of the most noteworthy festivals in all of Europe, the Belgrade International Film Festival has never screened Egyptian films before; this will be their first time, as well as ours. 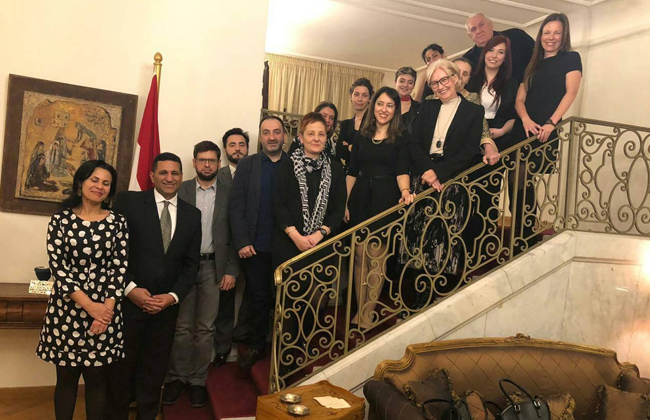 The Head of the National Cinema Center in Egypt, Khaled Abdelgelil, and the Egyptian Ambassador in Serbia, Amr Goweily, met with Kesinija Zelenovic, the festival’s Program Coordinator. They stressed on the rising Egyptian presence, as well as culture in Serbia, and the need for cultural exchange between the two countries. In addition, both men spearheaded an agreement with the Yugoslav Film Archive on the translation of a number of Egyptian Films to Serbian. On the other hand, a number of selected Serbian Films are to be translated into Arabic and are scheduled to screen during the Egyptian Film Month in July. The influx of agreements did not end there as Goweily and Abdelgelil have also met with the Head of Serbia’s Documentary Archive, Vladimir Tomčić. They agreed on the production of a documentary on Egyptian-Serbian relations, which will celebrate 111 years of diplomatic ties this year. The Belgrade International Film Festival has quite the rich history; its first edition was launched in 1971 under the byline “A Brave New World”, and it was the most spectacular event at that time. It featured classic films such as “A Space Odyssey” by Stanely Kubrick; Dennis Hopper’s “Easy Rider”; and Robert Altman’s “Mash”. Five decades later, Egypt’s own masterpieces will be added to the list. The two films are set up to compete with other films in the main competition program; the International Selection. A masterpiece by Youssef Chahine, Al-Mohager is set in ancient Egypt and tells the story of young Ram who’s born to a nomadic family, but over time, he develops a feeling of non-belonging. The young thinker no longer shares the same superstitious beliefs of his own kin and is tired of their picking on him. Therefore, as the plot progresses he leaves home and travels to Thebes to study agriculture. The brother who offered to accompany Ram on his journey suddenly sells him as a slave to Ozir, an Egyptian who works for a Theban military leader. The story picks up from there and carries on to paint a picture of political intrigue and drama that I will not spoil. The 1994-film features a number of beloved Egyptian actors. Ram is played by Khaled El Nabawy, while the cast includes screen favorites such as Youssra, Mahmoud Hemaidah, and Hanan Turk. The second film scheduled to be screened is Torab Almas, which is based on a novel of the same name written by the renowned Egyptian Author, Ahmed Mourad and directed by the out-worldly Director, Marwan Hamed. The plot is about a young pharmacist who, after the death of his father at the hands of a bully, discovers his aged father’s notebook that would unleash a chain of even more mysterious murders. The film features Asser Yassin as Taha, the protagonist, as well as a number of renowned actors such as Maged Al-Kidwany, and Menna Shalaby. The two Egyptian films will be screened during the festival, which will run between the 22nd February and the 3rd of March.